As I was evaluating the progress we’ve made on our house in the past 4 months, all I could think of was all we still had to do. 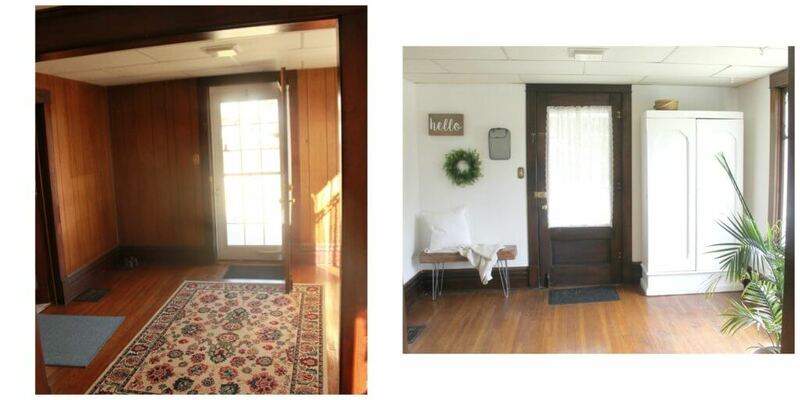 Then, I wrote our home tour post showing all the before photos. It was CRAZY to see how far we’ve come. 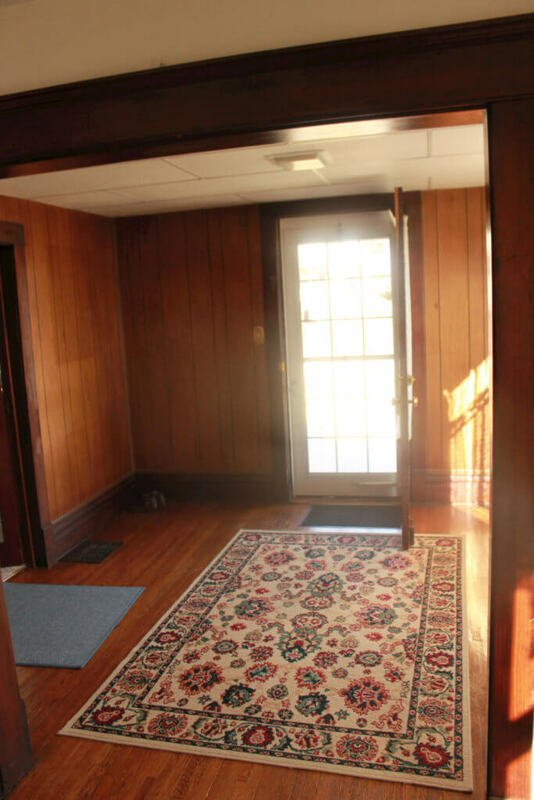 Do you remember what this entryway looked like when we moved in? We still need to do something about that drop ceiling, but I think the white helps it blend in a little better. Wanna know my favorite part of this room? That bench! My husband made it out of a piece of reclaimed wood, and we screwed some hairpin legs to the bottom. I bought the legs from Modern Urban Metals on Etsy. They are great quality, great price, and I love supporting fellow Etsy sellers. 🙂 It was super easy to build, but it took a long time to find the perfect board to make it out of. Worth. The. Wait. (Ps: Thank you to my brother and sister-in-law for letting my husband steal a huge hunk of your house!!) 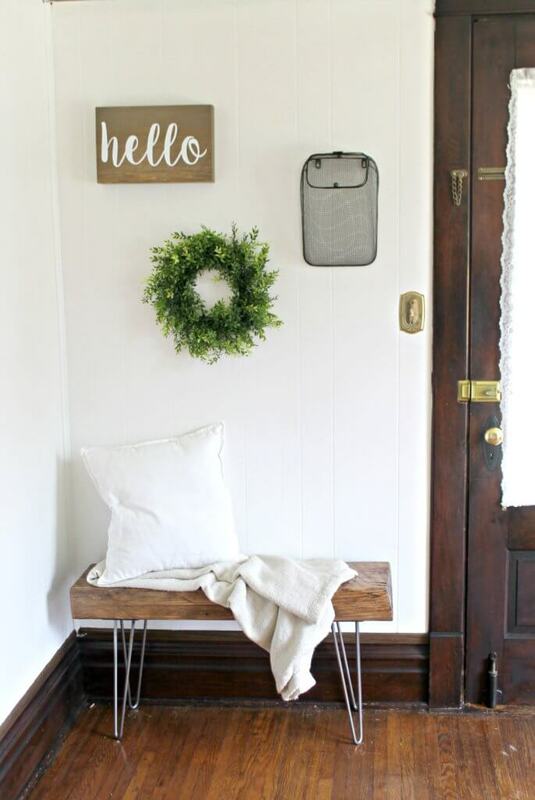 It’s the perfect blend of the modern farmhouse entryway style I was going for. On the opposite wall, we have an antique wardrobe that was a gift from a family member. It just needed a little love and a fresh coat of paint. I have been searching for a wardrobe for the past 4 years, so there was a pretty big happy dance when I got one for free. 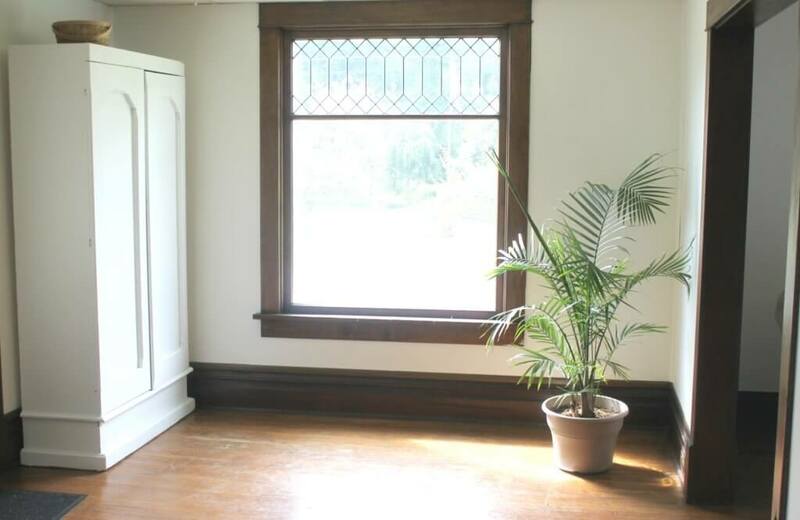 And say hello to our lovely Majesty Palm! Her name is Fern (don’t ask) and she has proven resilient to my black thumb. Funny story–we had someone come to do an energy audit on our house, and since the window has been sealed on the outside, it passed the test. However, the front door (also original to the house) did not. He said replace it now, I said get out of my house. Just kidding, I was very nice, I promise! 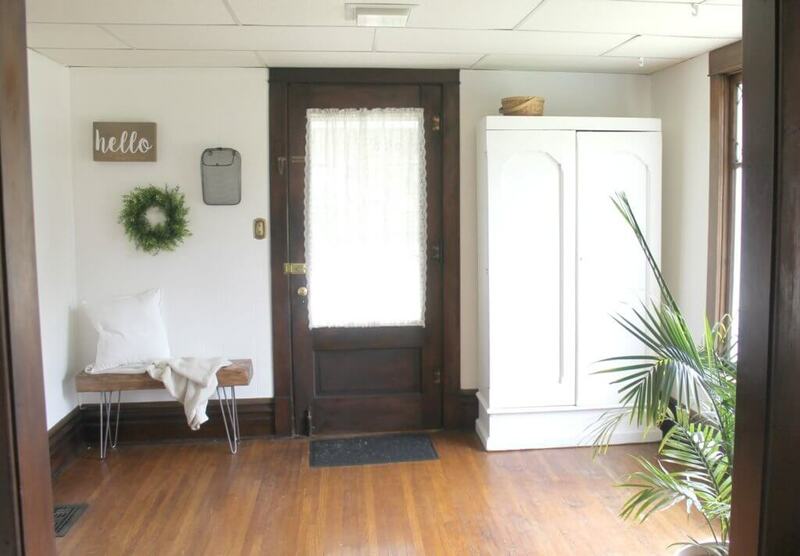 After discussing it with my husband (who also thought it might be best to replace it) we decided that, since it is a non-standard size, ordering a custom door is just not in the budget right now. So it lives to see another day. On the other side of the opening, I have one of my snake plants (impossible to kill, I promise!) and a print from Visual Pixie, also on Etsy. 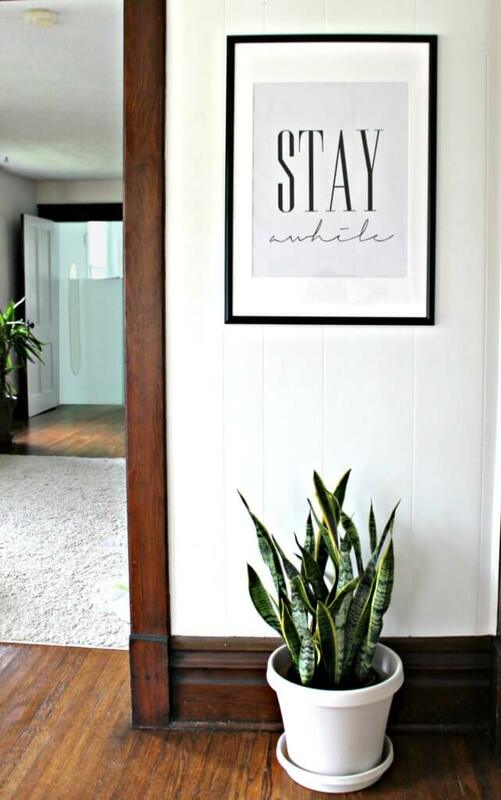 I just love the “Stay Awhile” print, and I think it evokes the cozy, welcome feeling I want my guests to have. So that’s a progress report on our modern farmhouse entryway. I still have a few more ideas for this room, in addition to no more drop ceiling, ever. I’m way too indecisive about rug choices, so it will remain rug-less for now! 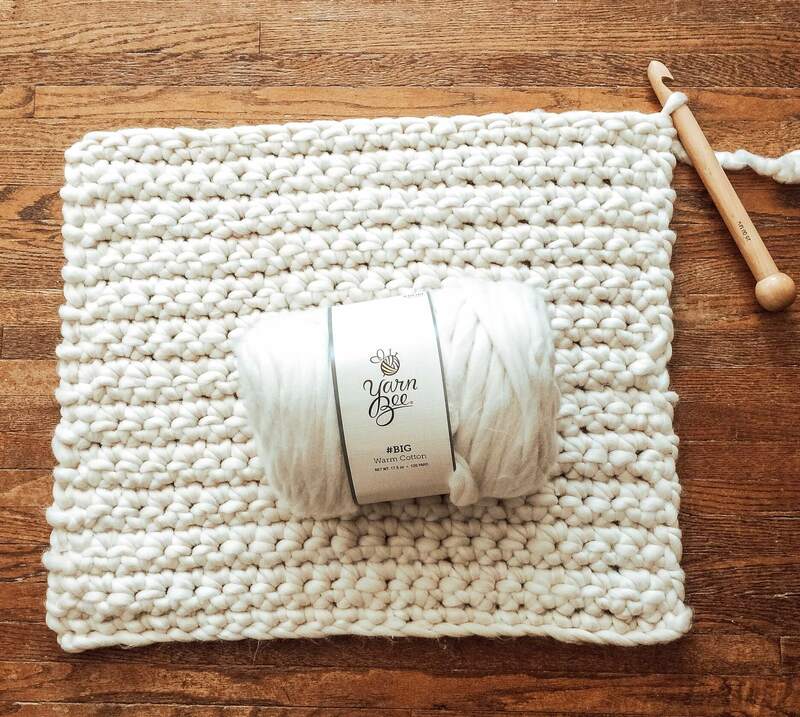 What are some of your favorite ways to get the modern farmhouse look? !